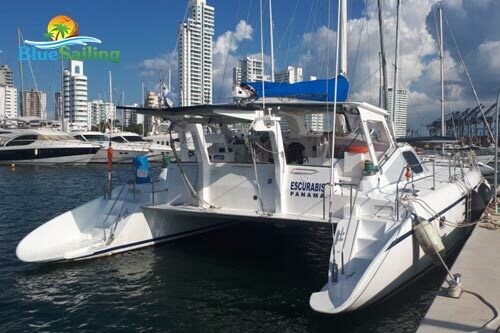 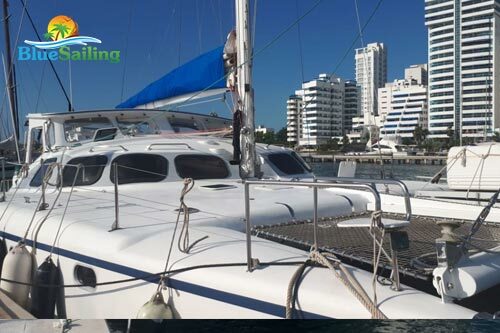 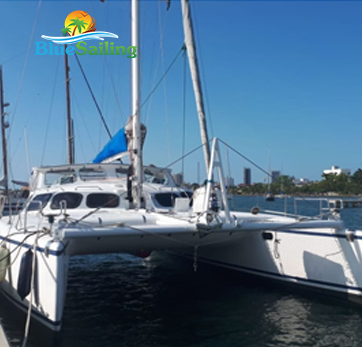 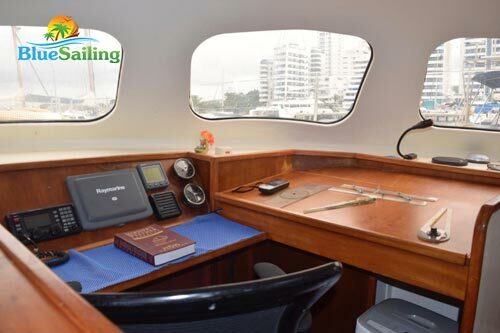 Sangria is a 46 foot catamaran constructed in Miami in 2002. 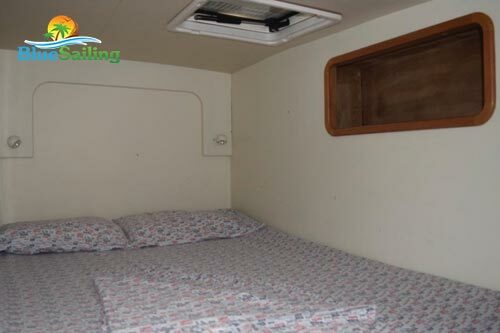 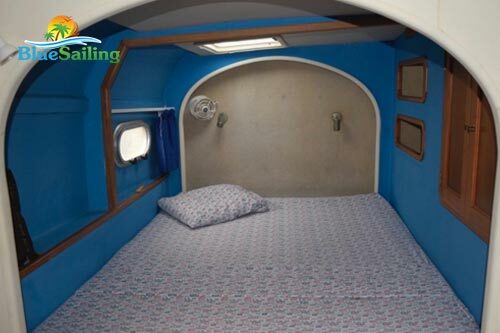 She has four double-bed cabins on board as well as a double bed and a single in the salon and 2 shared bathrooms to accommodate 11 passengers comfortably. 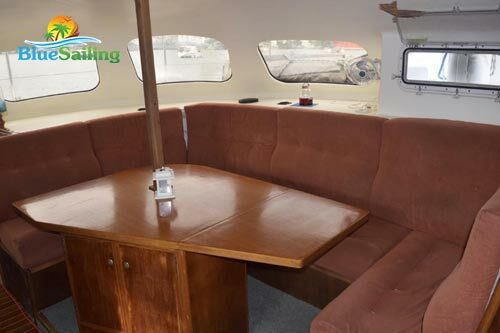 The shaded cockpit and large deck offer ample space to move around and relax on board. 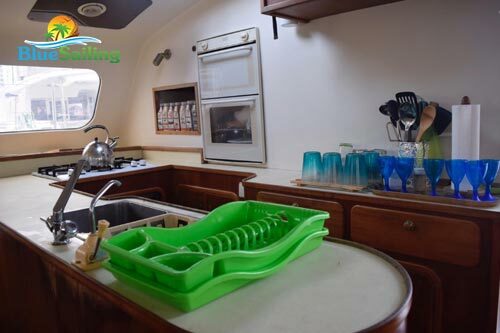 Snorkeling gear, audio system, fridge, snorkeling equipment and some fishing supplies.